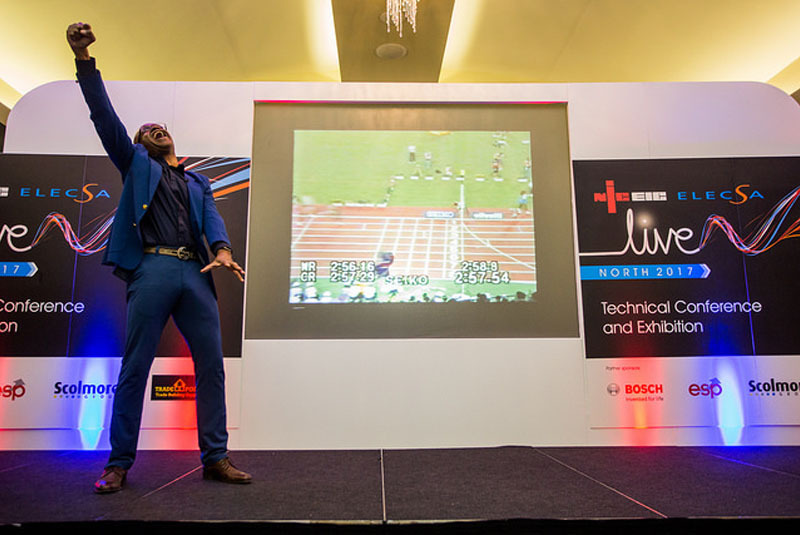 Former Olympian Kriss Akabusi will be the star attraction at this year’s Live South. Organised by NICEIC and ELECSA, Live South is one of the biggest events in the electrical calendar. It regularly attracts up to 500 visitors and with talks on the upcoming 18th Edition, this year’s event looks set to be one of the busiest yet. “We have a broad selection of business and technical seminars lined up, but the most popular topic this year will undoubtedly be the session outlining the anticipated changes in the 18th edition,” said Mark Smith, Marketing Director at NICEIC and ELECSA. Akabusi hit the headlines in 1991, when he anchored the final leg of the 4×400 metres relay at the World Championships in Tokyo to win Gold for Great Britain. He will be talking about his career in athletics and the lessons he learned about leadership, teamwork and dedication in his unique and energetic style. Other notable sessions include coping with change, construction sector forecasts and how to attract more customers. Additional technical sessions will discuss arc fault detection devices, surge protection and thermal imaging. Live South takes place at Epsom Downs Racecourse on 17 May. Tickets for the event cost just £29 plus VAT for NICEIC, ELECSA and ECA registered contractors and £49 plus VAT for non registered.